With no time for reminiscing, the Vancouver Canucks are looking optimistically to the future and hoping to regain some prowess within the Western Conference. It was easy to cheer for Roberto Luongo, Ryan Kesler, and John Tortorella when things were going well, but ultimately they—as key leaders within the team—were to blame for the 2013-14 farce of a hockey season. For once in a long while, fans and ownership agreed that change was the only route going forward. Bringing back Trevor Linden was undoubtedly a morale boost that will change the characteristics of the whole organization. 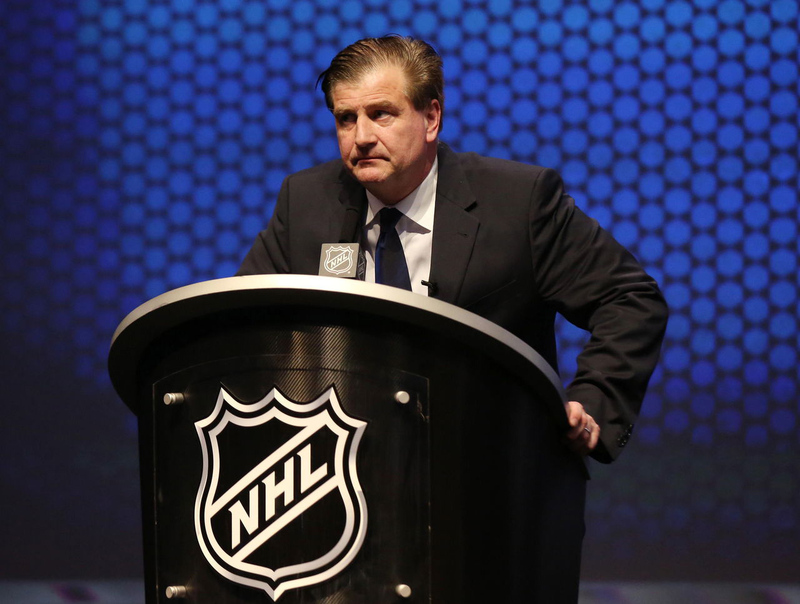 The hiring of Jim Benning as general manager officially marked the next era for the Canucks, and after the abusive relationship with former GM Mike Gillis the players can breathe a sigh of relief, knowing that their requests wouldn’t turn into a melodramatic affair. And finally, Willie Desjardins will take over behind the bench. The man has won at every level except for the NHL, and although that doesn’t mean much in the short-term, it’s better than acquiring another has-been head coach. As disappointing as the Canucks’ season was last year, the same can be said about Ryan Miller’s whole career. The 34-year-old American goaltender’s highlights include backstopping the underachieving Buffalo Sabres for more than a decade and losing the gold medal in the blockbuster 2010 Olympics. However, the St. Louis Blues expected him to be the saviour in the playoffs last year. He was not. It seems fitting that Miller has found his way to the goalie graveyard at the latter part of his career. But it might not be the end yet! He is a terrific, outspoken goalie. Perhaps now, it’s Miller time in Vancouver. While the core—the Sedin twins, Kevin Bieksa, and Dan Hamhuis—will maintain some stability within the team, the microscope will be on wily sniper, Radim Vrbata, resident tough guy, Derek Dorsett, and skillful, yet unproven centre, Nick Bonino. All three of them were brought in for a specific reason, and if they can’t perform the task, it’ll be a bust for sure. For the past decade or so, the Canucks’ image within the league is that the team is full of whiners, incapable of standing up for themselves. They are highly skilled but are always pleading to the referees for favours. Benning has made the necessary moves to change the attitude, and only time will tell whether Desjardins’ game plan will measure up to the competition. The juggernauts from California continue to be Vancouver’s most challenging oppositions, while Chicago games will no doubt gather a crowd. But the most important thing for Canucks to do this season is to win the games within the Canadian border. Beating down the Oilers, Flames, and Jets will go a long way to winning the Stanley Cup, but at the moment those are the only freebies. They need to take it. The Canucks, at best, are a bubble team, destined to finish between 10th and seventh within the conference. They could either have another valiant run in the playoffs or be incredibly disappointed. Fans are excited to see the new look, but they aren’t getting their hopes up. After such a humbling season, the organization will benefit from anything positive. We must remember that the Canucks are in a rebuild. The slogan “Change is coming” speaks volumes, but it doesn’t inspire much optimism.